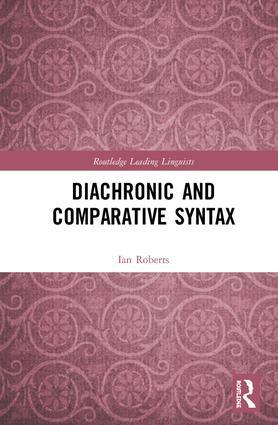 This book brings together for the first time a series of previously published papers featuring Ian Roberts’ pioneering work on diachronic and comparative syntax over the last thirty years in one comprehensive volume. Divided into two parts, the volume engages in recent key topics in empirical studies of syntactic theory, with the eight papers on diachronic syntax addressing major changes in the history of English as well as broader aspects of syntactic change, including the introduction to the formal approach to grammaticalisation, and the eight papers on comparative syntax exploring head-movement, the nature and distribution of clitics, and the nature of parametric variation and change. This comprehensive collection of the author’s body of research on diachronic and comparative syntax is an essential resource for scholars and researchers in theoretical, comparative, and historical linguistics. Ian Roberts is Professor of Linguistics in the Department of Linguistics at the University of Cambridge. His most recent publications include Syntactic Variation in Minimalist Syntax, with Theresa Biberauer, Anders Holmberg and Michelle Sheehan (2010) and Agreement and Head Movement (2010).